Mr. Russ Taylor is an advisor for Global Trust Group and a partner in Highpoint Holding. Russ is a Montgomery, Alabama native, and is recognized as both an innovator and a business leader, with a 20-year career in structuring equity transactions and asset management across a diverse portfolio that successfully spans real estate, finance, health care, transportation, media, and oil and gas . 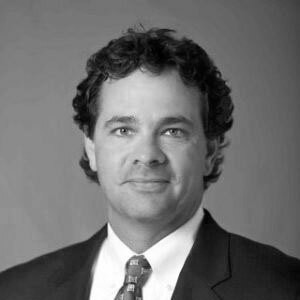 For the last thirteen years he has been a partner in Highpoint Holdings, a private firm primarily active in multifamily real estate circles, oil and gas acquisitions and other private equity investments. His focus on assembling value-added and opportunistic investment deal flow has been instrumental in achieving over 400% increase in investor base and more than $400 million in completed deals since its inaugural year. During his tenure he also established a presence in the oil and gas sector by organizing the purchase of large acreage tracts and subsequent mineral rights in both the Eagle Ford Shale and Theutica Shale, two of the most prolific domestic oil and gas reserves. Russ assisted in the formation of summit media holdings which acquired a portion of media giant Cox Radio’s portfolio. The acquisition included 32 radio stations with a presence in five different markets and the growth strategy his group imparted has proven successful. While Russ’s previous focus was specific to the multifamily and student housing markets he has recently broadened his experience to include hotel and residential development in Florida, ranging from land acquisition and financing to the full scope of entitlement efforts, construction of roads, and utility infrastructure. Currently, Russ has turned his skills to capitalizing lifestyle + hotel group, an emerging lifestyle hotel company. Russ is a graduate of finance from Auburn University at Montgomery. He is president of the board for Just Keep Smiling, an Alabama 501(c)3 nonprofit, which strives to alleviate some of the financial burden for families with critically ill children. He also serves on the board for Kidone, a nonprofit organization that provides safe, reliable transportation to medical appointments for those who are otherwise unable to travel.